Nothing says “we’re adults who want our complaints to be taken seriously” like disrupting the graduation of Yale students. 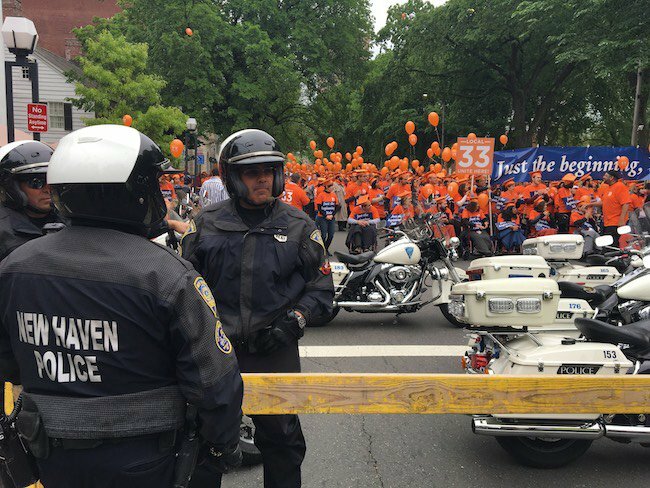 A crowd made up of several different local unions, Yale retirees and east coast students descended upon the Ivy League school’s 316th graduation ceremony and protested outside. The group, Local 33 Unite Here, is currently conducting a hunger strike until their terms are met. City officials had to block off four streets and form a police barricade around the group, which is expected to protest well into the afternoon. Why do you have to try to detract from what is an amazing day for these students? I get that you think you’re being treated unfairly, but there is absolutely nothing worse than tarnishing this graduation with your demands. Allow these people to have their day and conduct your protest later. The media loves nothing more than a good march, so you can assure that they are going to give you the coverage you need to get your demands met. You’re not helping your cause by doing this and you’re not bringing more attention to it, you’re just making yourselves look like brats.